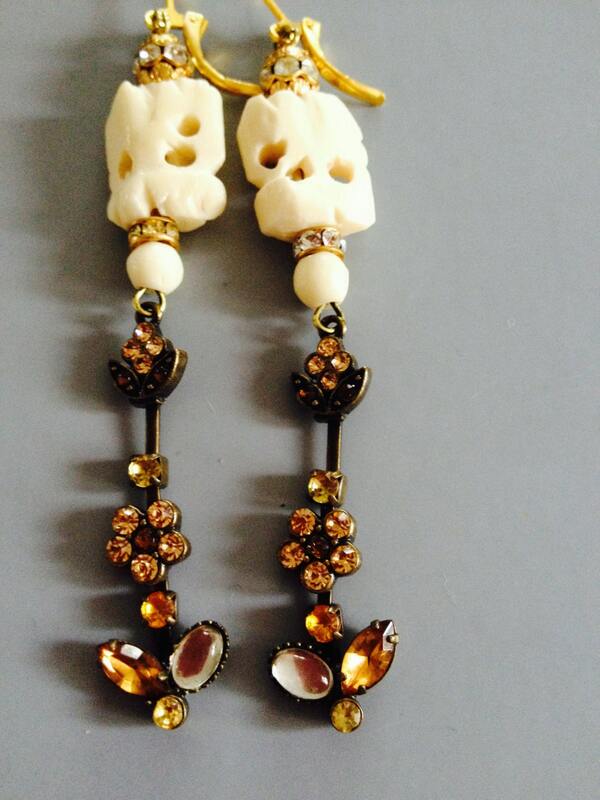 I assembled these earrings using vintage hand carved elephants beads. Each pair is made with different vintage elements. 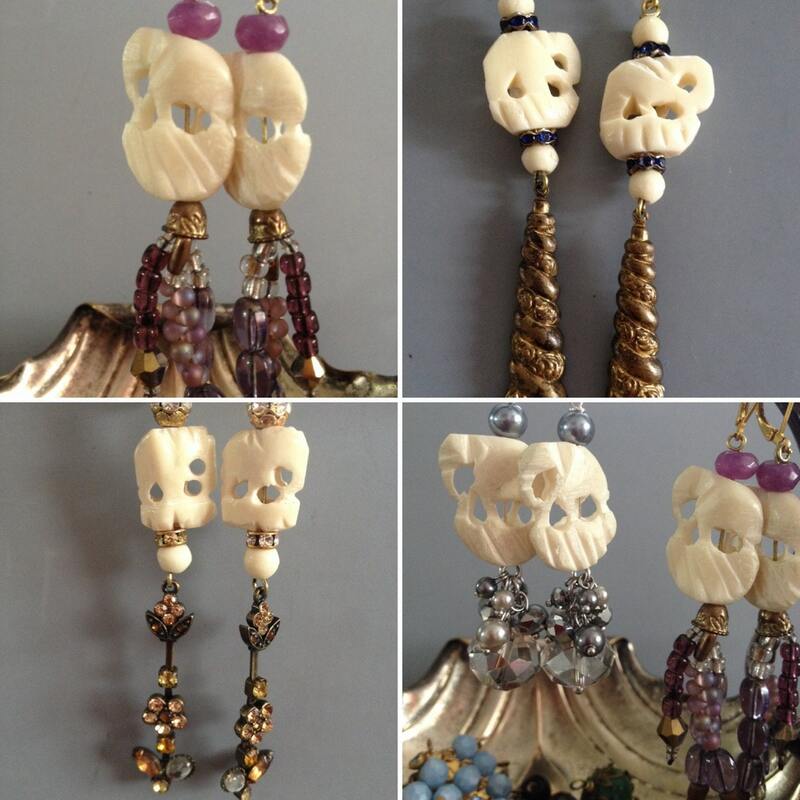 You can choose from the combinations with amethysts, pearls, vintage brass stampings and vintage rhinestones dangles. Please choose the one you like from the "variations". I separated them by materials I've used. Earrings drop down to 2 1/2 ". 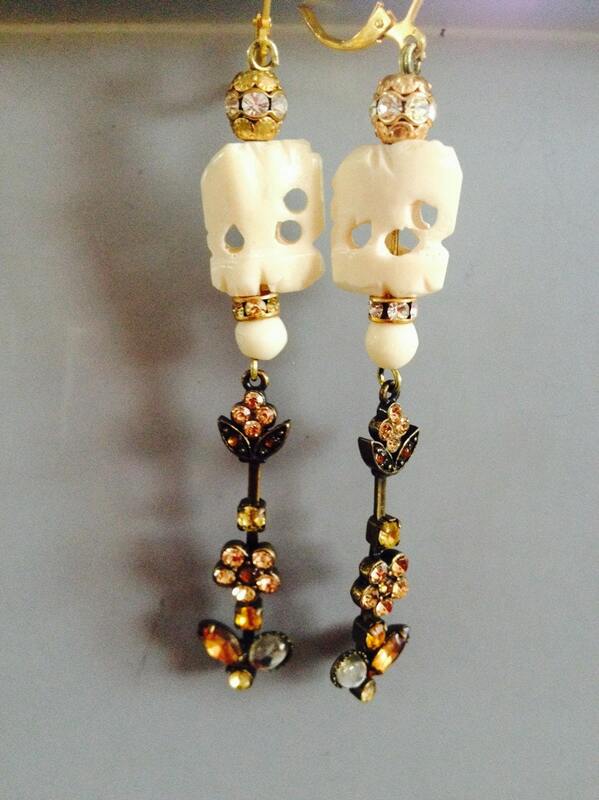 Brand new gold plated lever backs , or silver plated hook backs with rhinestones. absolutely one of a kind !